It’s 6PM in America…Do you know what’s for dinner tonight? Every year, our agency attends the Fancy Food Show to learn all we can about industry trends. At this year’s San Francisco show we attended the “What’s For Dinner?” panel, a discussion featuring speakers from Uber Eats, Hello Fresh, and Raley’s Supermarkets. David Donner, senior partner at A.T. Kearney, and a panel of experts shared how the market has changed and what pioneering businesses are doing to transform how we enjoy meals at home today. The world of home meals has changed. We’re busier and lack the time, skills or desire to make many home prepared meals. According to a recent, NPD survey, 70% of consumers said that they like to eat at home, but only 10% of consumers said they love to cook. How do we offer consumers better experiences when they want to be home to eat, but don’t always want to cook? It gets even more complex when we realize that households are not what we think they are. 62% of households are either singles or couples, not the traditional family with mom dad and two kids. We have a lot of people living alone, including more single parents or couples and empty nesters or millennials who are waiting to have kids. Living in a larger or multi-generational family? There may be a need to serve multiple meals. Dad’s trying to lose the dad bod, and Jr’s Gluten Free. Grandma decided she’s a vegan and Mom’s on the Keto diet. Luckily, marketers are on top of these trends and have responded by changing the dynamic of how we make, deliver and experience meals. Bowie Cheung, Director of Operations at Uber Eats in US and Canada, was quick to share how Uber evolved to give consumers more choices on how they get home delivered foods. Want your vegan meal and your son’s Big Mac in 10 minutes or less? The Uber Eats platform has an app for that. They are giving customers smarter more effortless choices when it comes to home delivery. 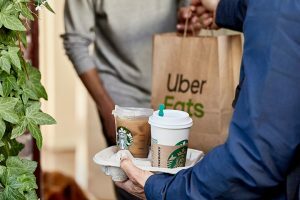 Uber Eats puts the consumer and their restaurant partners in the driver’s seat. Beyond the standard choice of restaurants, the app uses machine learning to know what meal preferences dietary restrictions or unique tastes make your user experience a personal one. While brands do matter, and McDonald’s, Subway and Starbucks are all partners of Uber Eats, consumers have more options than ever in leveraging their technology and process to get their next meal seamlessly and effortlessly. Matthew Fitzgerald, Senior Vice President of brand marketing at Hello Fresh, shared how his company is evolving to catch up with demanding busy home cooks. 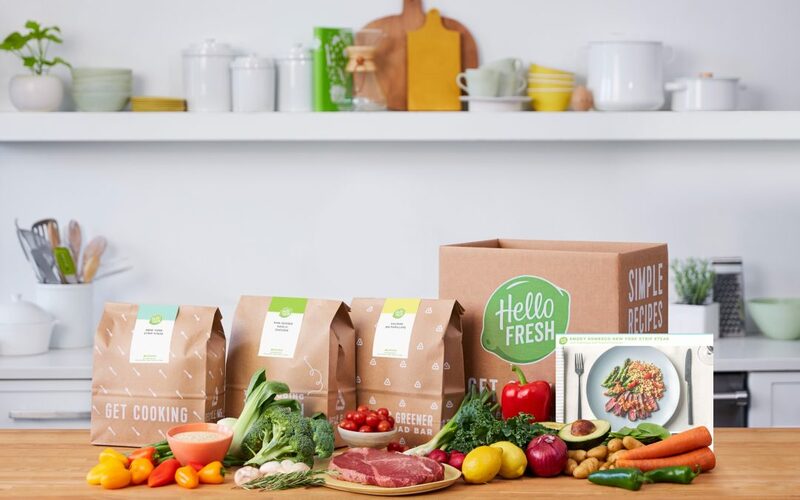 Hello Fresh was founded in 2011 in Germany with the belief that they could help consumers by simplify the cooking process. Lack the skills, time and ingredients to make a superb meal? 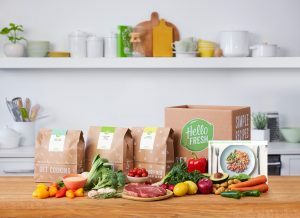 With the help of Hello Fresh you can make a delicious and healthy dinner using fresh perishable ingredients (in just the right amount) prepared all in under 20 minutes. It’s clearly on trend with consumers. Today Hello Fresh provides almost 47 million meal kits around the globe. How does Raley’s, a family owned supermarket with 84 years of experience in 129 locations in California and Nevada compete? According to Evelyn Millate, Corporate Chef at Raley’s, it’s by keeping up with the times. 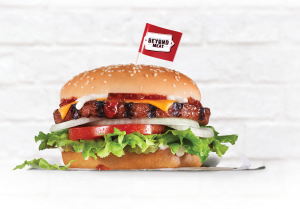 They have done a lot of experimenting in the last 20 years to stay ahead of consumer needs, including new entrees, sizes for one person and family size. Raley’s noticed that many of their customers don’t always want to eat a full meal, or maybe for dietary reasons want to eat more and smaller meals. They provide global flavors and solutions for lifestyle diets, such as the keto or paleo. Raley’s offers a full meal kits with step by step instructions for families with two or four people. Brand partners including Taylor farms are part of their solution set, so shoppers can find side dishes that compliment every meal solution. Raley’s has an e-commerce pick up service will do the shopping for you if you give them 2 hour’s notice. Raley’s knows consumers vary in interest from cooking everyday to not at all. They are growing a loyal customer base with solutions for everyone. Just pick it up. It’s 6 PM, what do consumers really want? In a few words, consumers want it all. Essentially, they want simple solutions with minimal effort. They all want variety, whether that means something new, diverse flavor profiles, cuisines, or special diets. How can brand’s benefit from these emerging consumer opportunities? Be part of the solution. Play a bigger role in the menu choices of your food service/restaurant partners. Provide imagery, recipe concepts, meal solutions and be a real menu choice to consumers. Let consumers know where your food brands are being enjoyed. Be a meal kit partner. Help add your brand to the meal kit or provide a coupon in the kit. Better yet, provide a free sample as an appetizer or small dessert to make the meal experience more memorable. 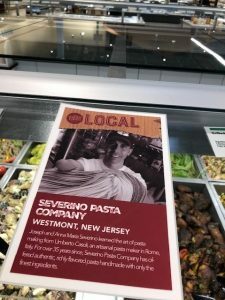 Be a ready to eat brand at supermarkets: Consumers are shopping the perimeter for fresh and convenient foods. Your brand can be an easy solution in more parts of the store and can support e-commerce with special offers that reinforce the purchase and get consumers to buy more or receive free shipping. Overall, grocery shopping is evolving faster in the last few years than it has in decades. Those who invest early in being part of the answer for consumers and channel partners will win the “what’s for dinner” argument every time.